Mac is one of the smartest devices of our generation developed by a world-renowned company. So, it is natural that a device of such magnitude will have some form of data recovery feature to support the users in need. The MacRecovery Partition is a built-in feature designed to recover from backups, restore system or reinstall macOS. You just have to open your Mac and start the MacOS Recovery. You can easily use this feature to fix any issues with the software or recover any files or any kind of action on your Mac. You will find the elaboration of the whole procedure in this article. What is Mac Recovery Partition? 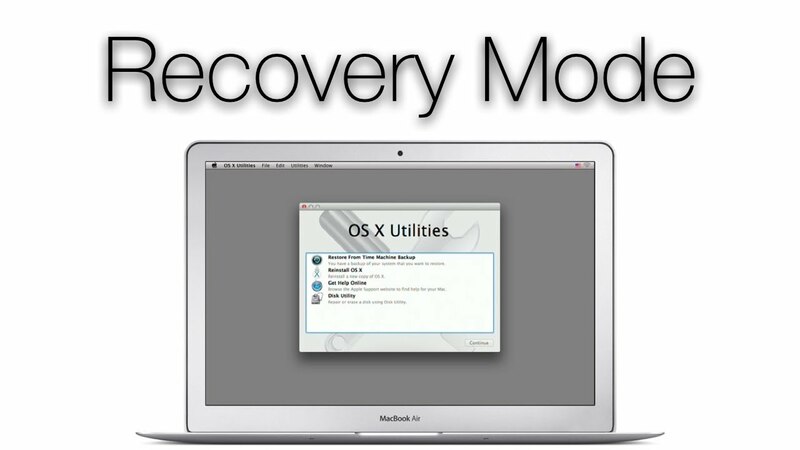 Before you get in too deep, you must know, what is Recovery Partition on Mac? It is a feature that can help restore software to your Mac. It is basically a small 650 MB partition in-built on your Mac hard disk. You have to open your Mac device, press and hold the Command Key + R on your Mac keyboard. You have to do it as soon as you press the power button to turn on the device. You have to continue holding the Command Key R until the Apple logo is visible to you. When the startup procedure is complete you will get to see the Utilities window. 1. Restore From Time Machine Backup: If you need to restore your Mac device from an external hard drive or a Time Capsule which contains the Time Machine Backup for your Mac, you can use this feature. 2. Reinstall macOS: It is very simple! You just have to download and install the MacOS. 3. Get Help Online: You have to use the official browser of Mac, that is, Safari to browse the Internet looking for help with your Mac device. You can also visit Apple support websites. 4. Disk Utility: You can use the Disk Utility to repair hard drive or to erase the hard drive of Mac. These are the main 4 features of Recovery Partition. You can use it mainly for disk recovery Mac. There are also a few additional features that come with it like Firmware Password Utility, Network Utility, and Terminal. Step 1: Tap the distinct Apple logo on the extreme top left of your screen. Step 3: Now, immediately press and hold the “Command” + “R” key on the keyboard and keep holding them till you see the Apple logo. There also can be a spinning globe. This can happen if the Mac tries to start macOS Recovery with the help of the Internet. 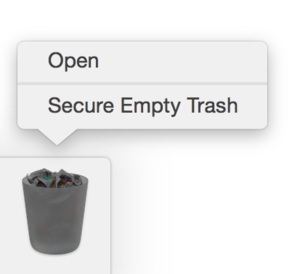 Step 4: After that, Mac will open the Utilities Windows with many options. However, to make the whole process easier, Mac comes with different key shortcuts that can help you boot in Recovery Mode easily and very quickly. Using this you can install the latest version of macOS. Using this combination can help you upgrade the latest version of macOS. This can install the existing version of the OS that initially came with your Mac. Or the closest version if it is not available for download. If you don’t want to use the official Recovery Partition procedure then you can go for the other data recovery tool, developed by independent companies. For the moment the best data recovery software on the market is Tenorshare Any Data Recovery. Developed by Tenorshare, Any Data Recovery for Mac is one of the best tools you can find. As the name suggests it can recover any type of data and it also provides various modes like Lost File Recovery, Partition Recovery etc, for different types of data recovery. You can get back accidentally deleted, lost or formatted data with ease. 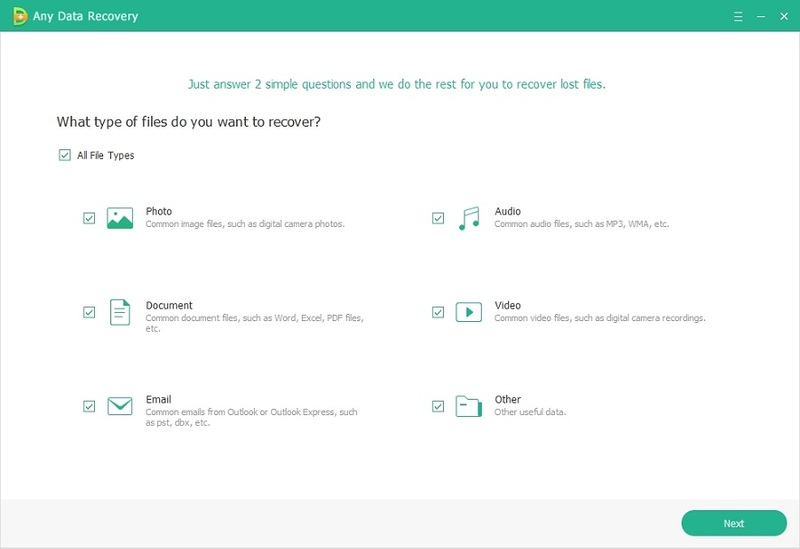 There is also a feature which can help you preview your data before recovery. As you can see, it is very simple to use Tenorshare Any Data Recovery tool to recover lost data. It is effective, fast and convenient. Overall, if you don’t want to use Recovery Partition for data recovery from Mac, Any Data Recovery is a great alternative and we highly recommend it!